You might think that the church folks would be happy about a bunch of baptisms–but these were Gentiles. They were upset that the Gentiles were being brought into this faith community. There were religious differences between Jews and Gentiles, yes. And also ethnic/racial differences. Jews and Gentiles had different cultural heritages. They did not understand each other well. Maybe they were even a little bit afraid of each other. Two thousand years after Peter got in trouble for bringing Gentiles into the church community, we still deal with racism within the church. It’s not that white Mennonites think people of color shouldn’t be in the church or be baptized. We’re all for racial diversity as long as it doesn’t lead to any, you know, actual diversity–different kinds of praying or preaching or music or theology. When I was in seminary—the first time—I served as a Christian Ed and youth intern at a mid-sized mainline church. It was a predominantly white church in what had become a predominantly Hispanic part of town. And that church wanted to “reach out” to the people in the neighborhood. They hosted after-school tutoring for neighborhood kids. They ran a Vacation Bible School program each summer that attracted about 100 kids—mostly from the neighborhood. And they got really frustrated that none of the neighborhood families became part of the church. They would talk about their frustrations at the same meetings where they voted to spend how-ever-many-thousand dollars to update the organ. Which was played loudly. And slowly. And accompanied hymns written by long-dead Europeans. Plus, the pastor spoke no Spanish. Nada. So, yes. This issue of race and culture within the church is still alive and well today. The apostles were upset with Peter baptizing Gentiles because this new, emerging church was supposed to be their church. A Jewish church. Their understanding of Jesus was grounded in Jesus’ identity as a Jew—like them. And we all do that, really. Hold onto the similarities between ourselves and Jesus. Whether they are real—like, for instance, as best we can tell, Jesus really was a Jew; or whether they are culturally reinforced historical impossibilities. 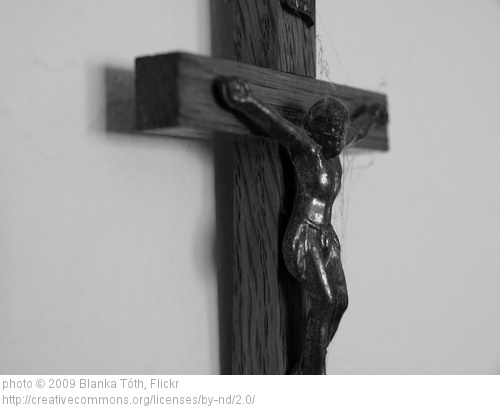 For centuries in the Western church Jesus has been white. Those of us who think about it geographically, historically, know Jesus would not have been white or looked white at all—but so many paintings and sculptures from throughout the ages reveal how people made Jesus in their own white image. Because it was comfortable. And it served the power structure. But God’s visions for Peter and Cornelius in this story show that within the church, we are not called to be comfortable or powerful. We are not called to stay in our safe spaces with people who look and act like us; with only people who agree with us. Jesus has bigger things in mind. Being an inclusive community doesn’t mean that we let people in who act like us and see God the same way we see God. Being an inclusive community means that we truly open up, that we are willing to let people who are different from us help us more fully understand the depth and breadth of God, that we look to and listen to others as we try to figure out what it means to follow Christ. The apostles are hesitant, at first, to include the Gentiles. But after they hear Peter’s story, his critics quit criticizing him and begin praising God for the new members of their family. Now don’t get me wrong. This is not a “happily ever after” tale. As more people with diverse cultures, beliefs, eating habits, geographical locations . . . as more people come into the church, the potential for internal conflict escalates. And we will see as we continue reading Acts that there are many more difficulties to overcome. This is not a story that provides simplistic answers for complicated questions. It is a story that reminds us that we should listen closely to the stories others have to share. That God operates beyond our areas of comfort. That God’s church includes people we wouldn’t expect in ways we can’t imagine. It is a story that can help us live together with openness and grace.